Every culture has its ideal vision of masculinity. That was written in 1963, and, by and large, it is still true today. Our definition of what it means to be a man has changed little in the last fifty years. I have had conversations with men who don’t feel like men because they are overweight. Once, a young man who started attending our church shared over coffee that he had just graduated college and now was trying to find a woman to marry. When I pressed him about this, he told me that getting married was the next step in becoming a man. Another man I know is a stay-at-home dad. After he lost his job, his wife has been the primary financial provider for their family for the last couple of years. While he loves staying home with his kids, he told me the hardest part is when people question him about why he doesn’t go get a job. The implication to their question is clear: If you don’t provide for your family, you’re not man enough. Why don’t you like sports (or worse, You did theatre?)? Why are you staying at home while your wife works? The underlying question is always, What’s wrong with you as a man? Our cultural definition of being a man has had significant impact on our churches’ expectations of men. Men are often exhorted from the pulpit to be a leader, be confident, make hard decisions, provide for your family financially, fight battles, be a good father, and love your wife well, because, after all, this is what God says men should do. Many of these are fine things — if you have a family. Even in our churches the assumption is that all men get married; all men have kids; and all men are leaders. When you boil it down, there is little difference between Erving Goffman’s description of the ideal American man and the American church’s ideal man. One of the great joys of my life is that, on most Sundays during the year, I stand in front of a couple hundred people and proclaim the Gospel. I get to look out over the faces of people as they listen to the good news of Jesus. When I look over the congregation I see a myriad of expressions of manhood. I see men who fit the earlier description, and men who don’t. Men who are a little heavier, who love ham radio, who are loud, who are quiet, who are leaders, who are not leaders, who are not athletic, who are not married, who are not white, and who are stay-at-home dads. Are they men? Man enough? Trying to come up with a single definition of manhood is an exercise in reductionism. It will always fail to include someone or some group, thereby even if unintentional, pronouncing them not-men. Unfortunately, recent efforts in American Christianity to get men to “act like a man” have been just as alienating for men who already feel inferior against an impossible standard. One man told me about a church men’s retreat he attended right out of college. He was young and impressionable, and the man speaking said that men, as good stewards and leaders of their family, don’t pay for things they can do for themselves. He went on and on about fixing cars, to the point that the young man left feeling like he would be a lousy husband and father because he couldn’t fix a car. To say it more simply, the church, like culture, can measure men against a singular archetype and shame those who fail to conform. Think to [the film] The Sandlot. When the two groups of boys square off, there is a very telling picture. In one group, you have those who are clean-cut, athletic, and elite. They fit the model of being a man. One doesn’t have to question their masculinity because you can see it. They are more confident. They walk with their backs straighter. They are more aggressive. Their bodies are better proportioned. When we look at the sandlot boys, they don’t quite fit the picture. Some of them are scrawny. Some of them are overweight. Some wear glasses. Some of them are wearing clothes that don’t fit. Many of them aren’t even very good at baseball. While these two groups are just boys at this point, it is easy to see that, as they age, one group will have an easy time proving they are men, and the other group will have a much more difficult time proving they are men, because one group fits the ideal picture of masculinity in our culture. Even American culture, with its proud multicultural mosaic, is not above owning a singular vision of the ideal man — this overarching archetype for all men to strive for — but, like all cultures, demanding that our men conform to our predetermined ideals. 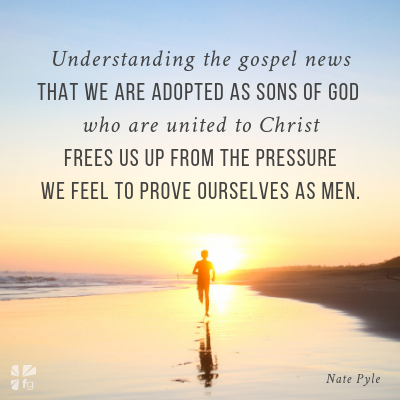 Understanding the gospel news that we are adopted as sons of God who are united to Christ frees us up from the pressure we feel to prove ourselves as men. God does not require people to prove themselves as worthy before He calls them to Himself. Rather, in His calling of people, God deems them as worthy. Do you see how backward that is from what we normally experience? For most of us, experience has taught us that acceptance comes only when we show ourselves worthy of it. I find in my work as a pastor that one of the most common struggles people share with me is wondering how God could ever love them because, in their eyes, they aren’t worthy. Aren’t good enough. Most feel as if they must do something, prove something, before God could ever love them. This is the Gospel: that we do not need to prove ourselves to God, but rather, by His good, divine choice, God declares us to be His adopted sons and daughters. In His grace and by His divine choice, God accepts us as sons; He calls us co-heirs with Christ. This unbelievable privilege is made possible through the reconciling death and resurrection of Jesus. Amazing grace it is — that this title, son, is bestowed on us long before we prove ourselves worthy of it. 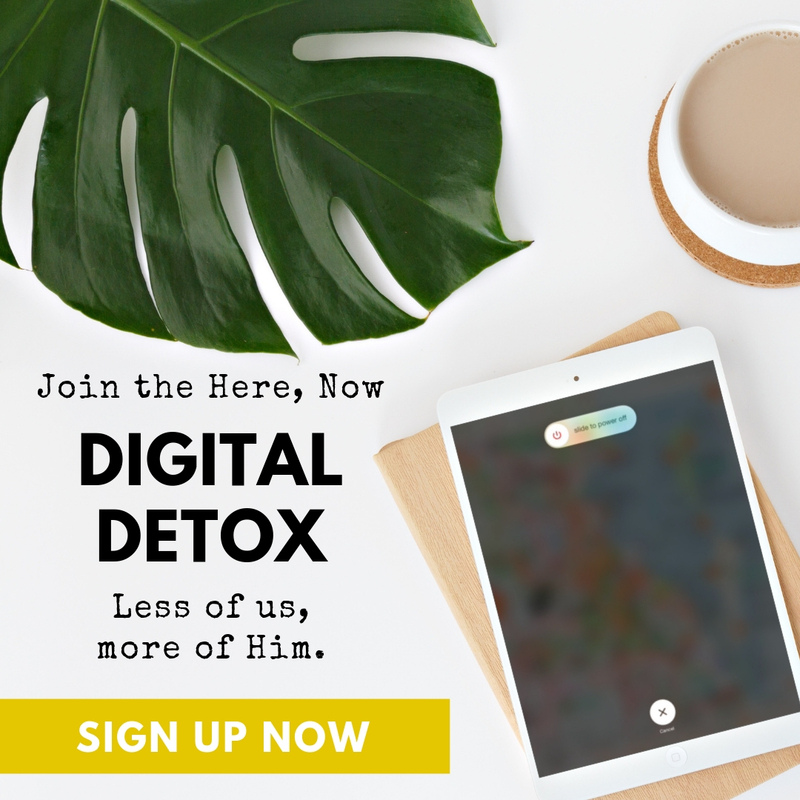 Grace is this — that though we continually relapse into behavior uncharacteristic of sons of God, we are never declared unworthy of our adoption. 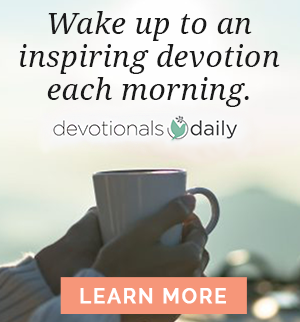 Despite having every reason to be, “Jesus is not ashamed to call [us] brothers.”8 It is this good news that allows us to be the men whom God created us to be. Proving oneself to be a man is an anxious endeavor. You never know if you are good enough. Never know if you have done enough. Always left wondering if others are perceiving you to be the man you are working so hard to protect. Always questioning if you are man enough. Our union with Christ unequivocally answers this question in the affirmative. Excerpted with permission from Man Enough by Nate Pyle, copyright Nate Pyle. 1. Erving Goffman, Stigma: Notes on the Management of Spoiled Identity (Englewood Cliffs, NJ: Prentice Hall, 1963), 128. 2. See Exodus 20:13, 17. 3. 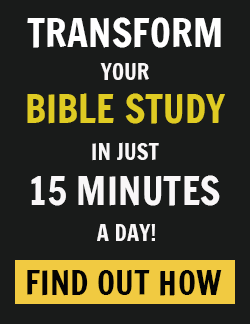 See 1 Samuel 13:14; Acts 13:22. 4. See Luke 22:33 – 34. 5. John 21:15 – 20. 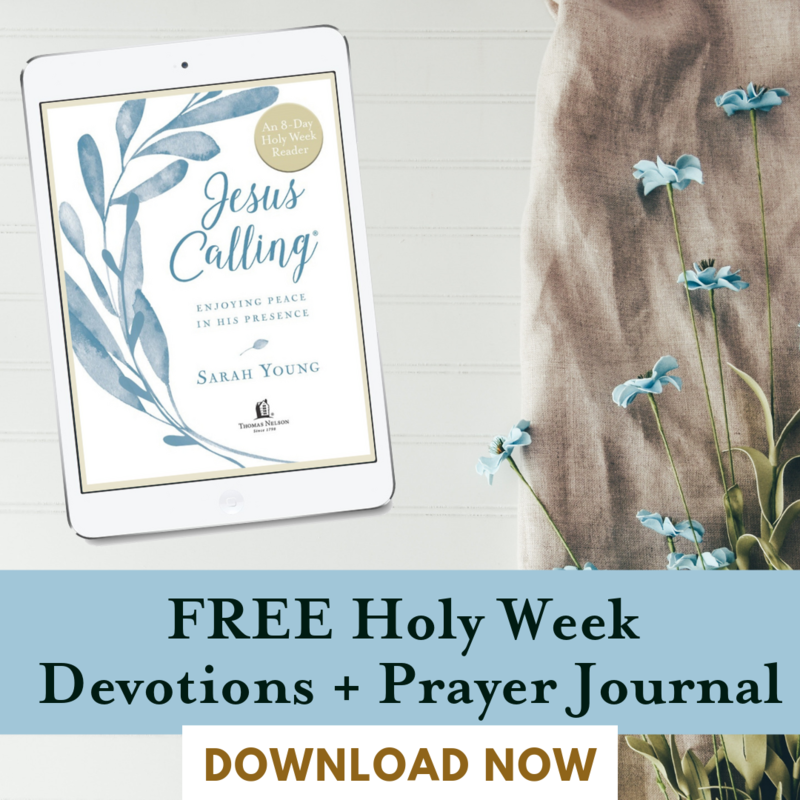 How does it set you free to know that you are a son of God with nothing to prove? We’d love to hear your thoughts in the comments! Nate Pyle is husband to Sarah, is dad to Luke, Evelyn, and Wesley, and serves as pastor of Christ’s Community Church in Fishers, Indiana. Nate is the author of Man Enough: How Jesus Redefines Manhood and blogs regularly at natepyle.com. His work has been featured at sojourners.com, The Huffington Post, Christ and Pop Culture, and various other publications.